I don't often promote products on this blog, in fact I am more likely to take my critical 'pen', so to speak, against things that have annoyed me. However the other day I went to my local garden centre to get some potting compost, or growing media as we should call it, to sow some seeds. As I perused the mountains of bags, all priced for a multi-purchase of half a car load, I found lots of choice. There were composts proudly claiming to be low peat, which usually means all sorts of recycled rubbish. Many had water retaining granules included but after last summer is this desirable? And others had slow release fertilizers added. Some claimed to be lightweight but were so sodden that I could have done a gym workout with them. But amongst all that variety, virtually none of them were recommended for seed sowing. I was about to leave when I spotted a heap of 'Jack's Magic', described as a traditional blend, all purpose compost, 'perfect for seed sowing, potting, planting and containers.' 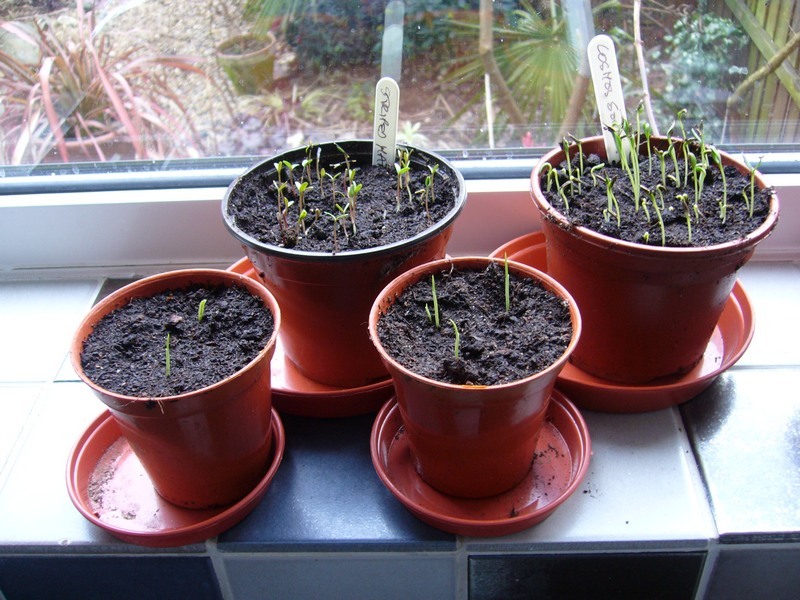 Now a week later, I've used the compost which is a great, finely milled peat and sand mix and my seeds have germinated immediately! It reminds me of Arthur Bowers, which was popular for years. I obviously cannot comment on longer term use as yet, but my immediate reaction is to welcome back a 'proper potting compost'. Whatever the environmentalists may say, none of the alternative products available today can match peat as the basis for a growing media. If you want to read my more extensive comments on peat and growing media check this post from last year 'Let's not get bogged down'. My association with potting composts goes way back to my teenage years when I first fell in love with gardens and plants. During school vacations, I used to work for the local parks department in the seaside town of Felixstowe. The standard compost used in the parks nursery was homemade. Loam was produced from the edgings of the grass verges, stacked and rotted. (Does any local authority edge the verges these days?) To this was added leafmould, collected from the parks and street trees and sand from the beach. This was stacked for a couple of years and left for the salt to leach out. The final ingredient was the powerfully pungent blood, fish and bone! And it was me that had to shovel it across the concrete floor three times, to make sure it was thoroughly mixed. Amazingly this concoction grew excellent plants, although being unsterilized, it also grew weeds! I remember long tedious hours weeding all the trays and pots of young plants. Horticulture has moved on in big steps since then with John Innes Composts, then the loamless or peat based composts, nutrient film and other soil-less growing techniques and now the search for peat alternatives. 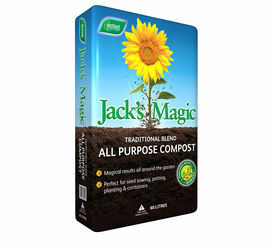 So unless you fancy mixing your own from the basics, you might try this new compost of Jack's and see if the magic works for you too! Postscript - one of my regular readers, has directed me to a thread on the Growontheedge forum which makes some interesting comments. Click on the link to read. Thanks Chad! I would add that I think so many new composts are being introduced without full trialling. When I used to work for Fisons, back in the early days of Levington Compost, any changes to the mix were fully tested. And even after production, every batch of compost was tested by growing batches of tomatoes, snapdragons and stocks. These indicator plants flagged up any problems with manufacture. Compost is still very contentious for many and some still yern for a little Peat. I was brought up on growing plants in peat at Southend Parks. Now things have changed, for sure. Edging of verges. Southend still does it both in house and contractor. And where I live St Albans the term contractor edges the verges in Winter. Brings back some memories for a cold January job. It was always a good team job where you could all have a laugh. Edging - Good to know some traditional standards being maintained! I know peat will go but I've yet to be persuaded that there's a clear alternative for growers. Convenience is a big factor for us and have found it difficult to find a suitable ready made compost mix out there especially in recent years. The composition sounds really good and ideal, will keep an eye on this one.